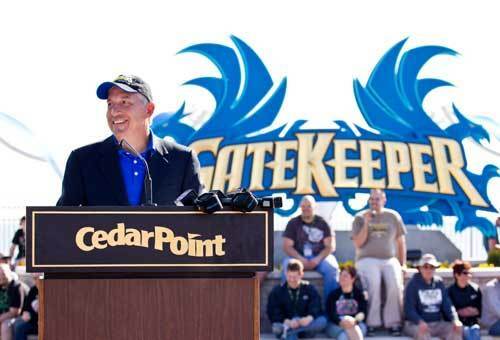 For Matt Ouimet, the president and CEO of Cedar Fair Entertainment Co., a typical day at the office really is a walk in the park. "To be honest, I don't think I'd like this job if I was forced to be cooped up in an office. 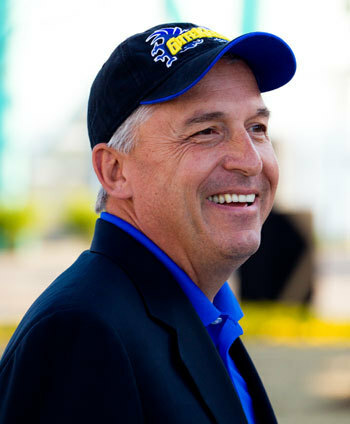 When you work in the amusement park business, you have to see where things are working and you have to see where they're not," Ouimet admitted in a recent phone interview. "I couldn't be one of those guys who'd try and run a place like Knott's Berry Farm just by sitting in his office and working off a spreadsheet. I'm sure there are others who can do that, but I'm not one of them. I probably would not be as good at this job if I couldn't regularly get out in the parks." Mind you, given the 11 amusement parks that Matt rides herd on are spread across the United States and Canada, staying on top of what's going on at each of these Cedar Fair properties involves an awful lot of travel. "Take -- for example -- how I'll be spending the next two weeks. I leave Knott's on Sunday -- actually Monday morning -- and then I start my road trip. I'm going to Toronto to see our new dark ride, Wonder Mountain's Guardian. This attraction actually has a lot in common with Disney World's new Seven Dwarfs Mine Train ride. 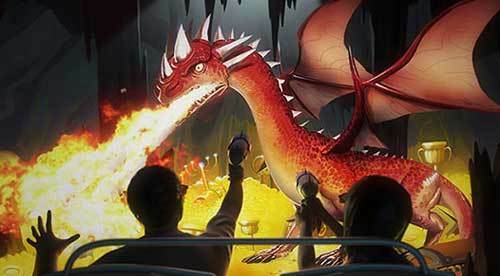 It's a coaster track, though Wonder Mountain's Guardian has the longest interactive screen in the world which features a gaming element where you then try to get the top score," Ouimet explained. "And by the time I get back to Cedar Point toward the end of this month, l will have managed to have hit all of our parks -- and most of that is good." Of course, one of the biggest challenges that Matt faces is recognizing that each of these amusement parks is different. That they all have their own personalities. "That's one of the main reasons Cedar Fair has different names on all of our parks. We don't try and put them under one big brand. They're all unique in their own special ways," Ouimet stated. "Take -- for example -- Knott's Berry Farm which is right in the middle of one of the most competitive theme park markets in the world. Within 60 miles of Knott's, you have LEGOLAND California, you have SeaWorld San Diego, you have Universal Studios Hollywood and you have the Disneyland Resort. So in the Southern California market, it's really important to figure out who you are and then be extremely disciplined about it." "I mean, think about it. Knott's Berry Farm can't be about the movies. And we can't be about fantasy. We have to be who we are," Matt continued. 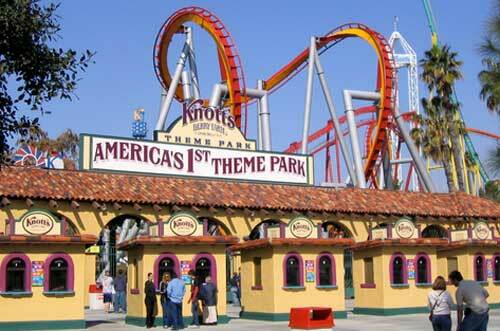 "So when it comes to Knott's, we want to be that place where having fun is still fun. Or as Raffi Kaprelyan -- the Vice President and General Manager at Knott's Berry Farm -- says 'where people can still have organically grown fun.' We want to be the theme park in this market that's uncomplicated, affordable, familiar but still has a few surprises." "So that's our goal with Knott's Berry Farm. To occupy that space in the highly competitive Southern California marketplace, to be comfortable with that space and not try and be one of those other guys. One huge advantage we have in this market is that people still have a strong affinity for what the Knott's family created," Ouimet said. "So I hope that -- with the respectful upgrades & improvements we've made to Ghost Town, the Timber Mountain Log Ride, the Calico Mine Train and Camp Snoopy over the past three years -- we wind up being known as the community park, not the corporate park. And to some degree, I think being a little smaller has probably worked to our advantage with Knott's." It's worth noting here that all of the changes that Matt & his team have made since he came on board at the Cedar Fair Entertainment Co. in June of 2011 have had a significant impact on Knott's Berry Farm's bottom line. Just last year, this Buena Park institution had the most successful year (from both an attendance standpoint as well as a profitability point-of-view) ever. And given that Knott's is the second most profitable park in the Cedar Fair system, that's a really nice feather in Ouimet's cap. "And the good news is we're not done with Knott's. We've got a five year plan in place for this theme park. 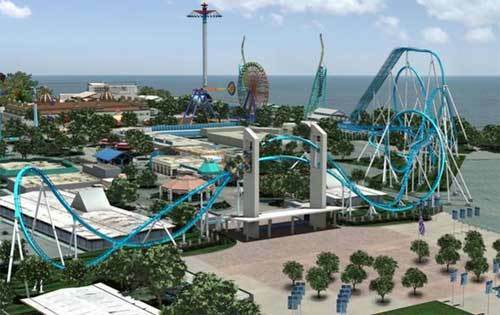 And I'm hoping that -- with Cedar Fair's help -- I'll then have the privilege of turning that into a ten year plan," Matt enthused. "It's not exactly a closely guarded secret that -- when it comes to Knott's -- we're trying to figure out what to do with the area where Kingdom of the Dinosaurs & Knott's Bear-y Tales used to be located. Assuming that the Wonder Mountain's Guardian ride works out, there will probably be some lessons that we learned up in Canada that we can apply down here in Buena Park." It's worth noting here that Knott's Berry Farm isn't the only Cedar Fair property to be singled out by Ouimet for some much needed TLC. "Next year is Carowind's year. We've announced we're making a major investment in that park. $50 million over the next few years. And we're really looking forward to it," Matt said. But just as he did when Ouimet took his first stroll around Knott's Berry Farm and identified the areas in that theme park that could be plussed & improved, Matt and his team walked the length of Carowinds. Looking for ways they could improve that amusement park while still preserving its obvious charms. "In the end, I want people to think of the Cedar Fair parks like they do their best friend's house if they live out of town," Ouimet explained. "You know when you go there that you're going to have fun. You're going to be welcome. You're going to relive some memories as well as create some new ones. You're going to laugh. And it's always something you're going to look forward to." But again you just don't see those areas that can be plussed or improved if you're hunched over a spreadsheet. Which is why -- several times a year -- Matt hops on a plane, travels to all 11 amusement parks and then puts on his walking shoes. "I've always prided myself on the ability to look at the amusement park experience through the guest's eyes which is why I still like to be out in the parks. I still like to walk around, make sure the guests are still having a good time," Ouimet said. "I mean, it's honestly not that complicated. People don't want things to be too expensive. They want to be able to have fun with their friends and their family. They want to eat a nice meal while they're in the park. They want to experience some new rides as well as revisit some old favorites. And they want to laugh a little bit. If you can consistently deliver that experience -- and that's what we try to do at each of our Cedar Fair properties -- people will come back again and again," Ouimet concluded.